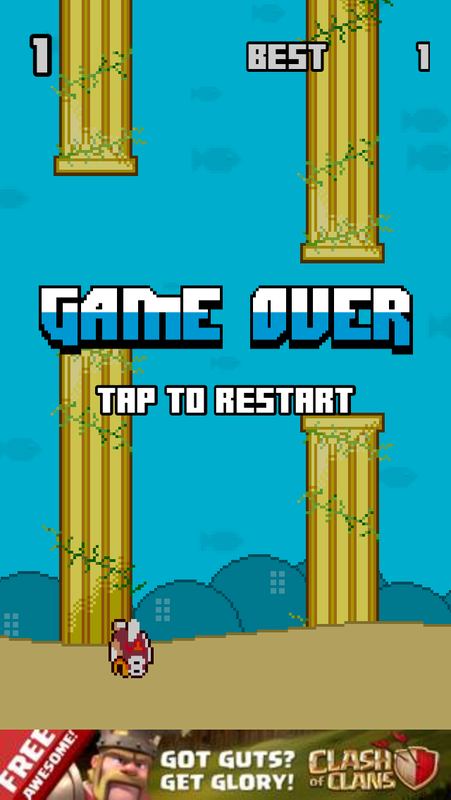 You are here: Home / App Store / Splashy Fish – Best Flappy Bird Replacement? 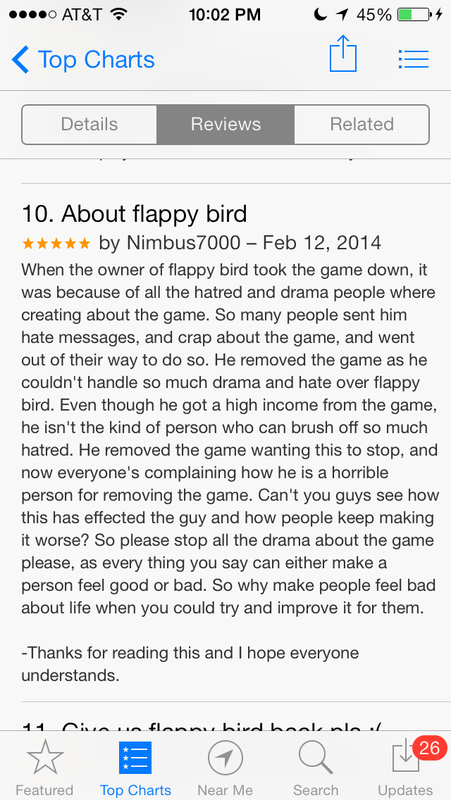 With most of the Flappy Bird drama behind us, many developers are attempting to become the next Flappy Bird. 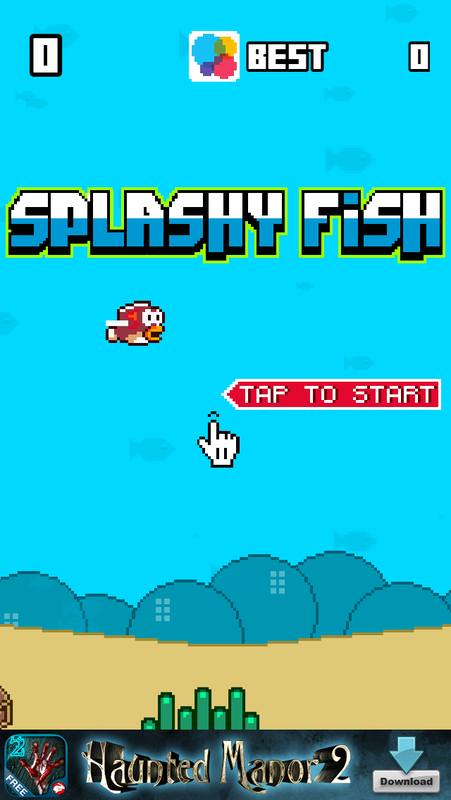 If you read the reviews of Splashy Fish, it may be the best alternative, possibly even better! 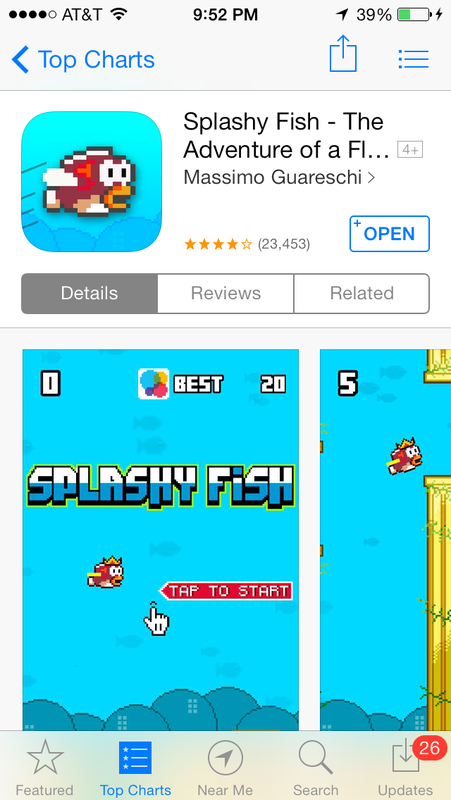 At the time of writing this article, Splashy Fish is currently the top free app in the App Store. I only made it to about a 6 on the original Flappy Bird so I thought I’d see if this game is still as difficult or if it was easier. The game is still the classic 8 bit design and has banner ads throughout the game. Instead of a bird, you’re a fish and instead of the Mario Brothers look-a-like pipes, you’re navigating through vine wrapped pillars. My first try got me about as far as usually, 1 point. The sounds are a bit annoying to me but it seems these games love to make you mad :) This game does have more differences than just looks and sounds. First, it restarts much faster. 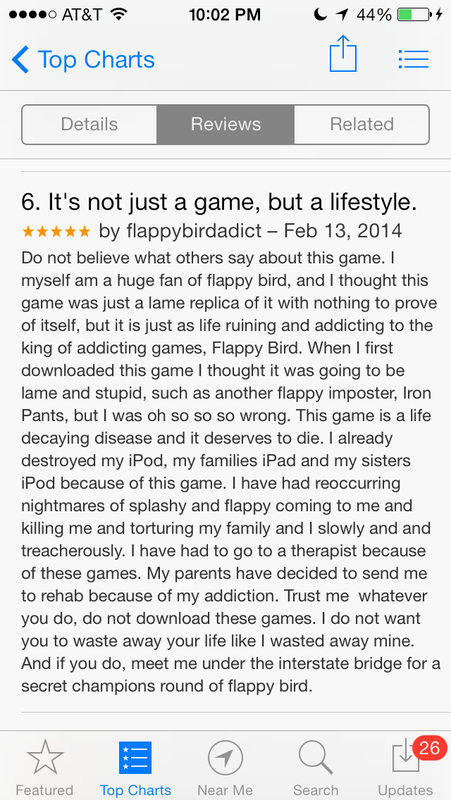 That was one thing I didn’t like about Flappy Bird. It took forever to restart. That’s the fastest way for me to quit your app. Another change is rewards for more points. You can win gold wings, rockstar glasses and more! 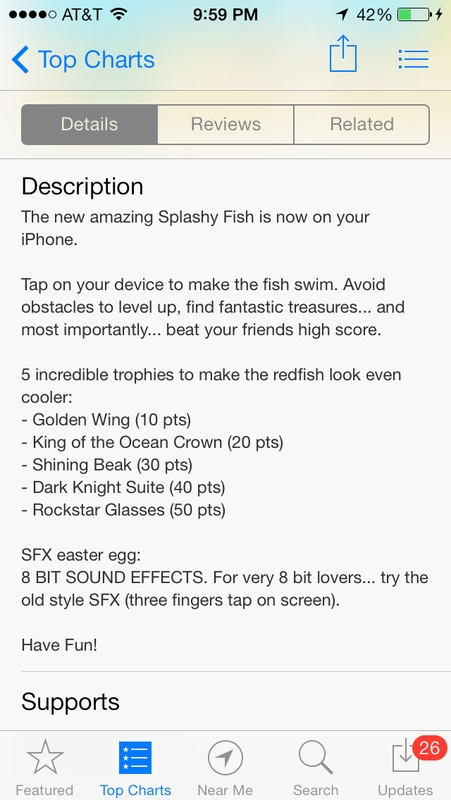 You can also three finger tap to get some retro sound effects. 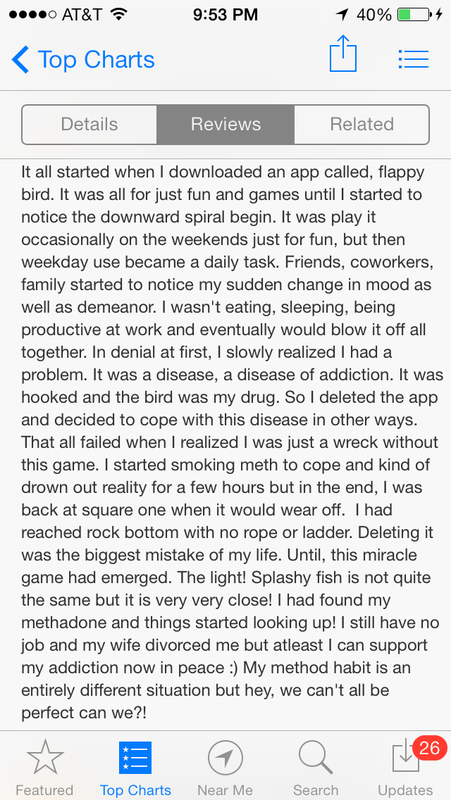 Finally, I think the most entertaining thing about this new app is the reviews. You’ve got to check them out! And like the original, this app is free!